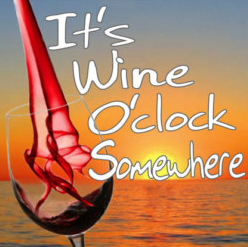 Carlton Archives - Write for Wine: It's Wine O'Clock Somewhere!Write for Wine: It's Wine O'Clock Somewhere! 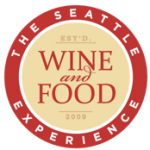 You’d better move quickly – tickets are now on sale for the Seattle Wine and Food Experience at Seattle Center Exhibition Hall. If you like good wine, beer and food, mark your calendars for this delicious experience on Feb. 23, from 1-5 p.m.
New this year is a VIP experience,which includes a one-hour early entry, an event tote bag, wine glass and tasting plate, plus an opportunity to win a variety of wine-related prizes. This year’s featured region is Woodinville Wine Country, with pours from many excellent wineries, including Alexandria Nicole Cellars, Lauren Ashton, Obelisco and The Woodhouse Wine Estates. Other Washington AVAs are represented by Double Canyon, Kiona and Red Mountain AVA Alliance, among others. Some of our Oregon favorites — Seven of Hearts, King Estate and Willamette Valley Vineyards — will be be pouring, along with wineries from California, Idaho, Italy, France, Spain, Portugal and Argentina. 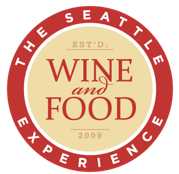 You can find a full list of wineries that will be pouring, along with beer and cider, spirits, and coffee, in addition to information about numerous restaurants serving gourmet bites, at the Seattle Wine and Food Experience website. Tickets are $55. It’s important to note – this is the sixth annual SWFE, which is testimony to the reputation and following that this event, with its explosion of tastes, has generated in Seattle. 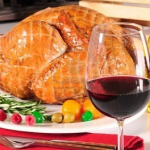 Wondering what wines to share over the Thanksgiving holidays? A special bottle to take to a family dinner or an evening with good friends? Here is our list of current favorite red wines of different vintages. 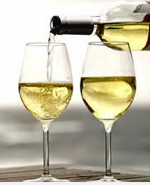 But first, a note: We strongly believe that people should drink whatever varieties of wine they want, red or white. Our preference for Thanksgiving happens to be robust red wines – some with a bit of funk, such as 2009 Reynvaan In the Rocks Syrah, and some that are rich and smooth, such as 2009 Doubleback Cabernet Sauvignon. In addition to those two beauties, here are the wines (in alphabetical order) that we recommend for Thanksgiving – all are from Washington state unless otherwise noted as from Oregon. What’s on your list of Thanksgiving wines? What’s in Our Glasses Lately? In the past couple of weeks, we have particularly enjoyed three bottles of red wine — two from Washington state and one from Carlton, Oregon. We’ve enjoyed Barrage Cellars 2009 and 2010 Cabernet Sauvignons and Cabernet Francs frequently this year, but on Friday night, we decided to dip into our cellar for this 2008 beauty. A deep purple color reminiscent of a new world Syrah, but with that first taste there is no mistaking that this is a huge Cabernet Sauvignon. Flavors explode on the palette with complex layers of big red fruit, anise, tobacco and some graphite followed by huge. Fine grain tannins that are well integrated, but suited for aging. Another stellar Washington wine from our cellar, Qo-ne has long been one of our favorites from Northwest Totem Cellars. The 2008 blends Cab Franc (60%) with Cab Sauv (29%) along with 9% Syrah and 2% Petit Verdot to round off the distinct flavors. Rich with aromas of blackberry, vanilla, coffee and nicco wafers, this wine is well balanced with notes of chocolate and black cherry finishing with a hint of that signature Cab Franc white pepper on the finish. We wish we had purchased more than a couple of bottles of this gem of a Cab Franc during our recent visit to Carlton, Oregon. This rich, structured wine consists of 80% Cabernet Franc, 10% Cabernet Sauvignon, 5% Merlot and 5% Petit Verdot. Troon was recently named “One of the Top Ten Hottest Wine Brands” in the U.S. by Wine Business Monthly. Our effort is characterized by aromas of fresh mint and loam, with a structured, yet elegant finish. It is, as are all our reserve wines, unfined and unfiltered to perserve its body and integrity. 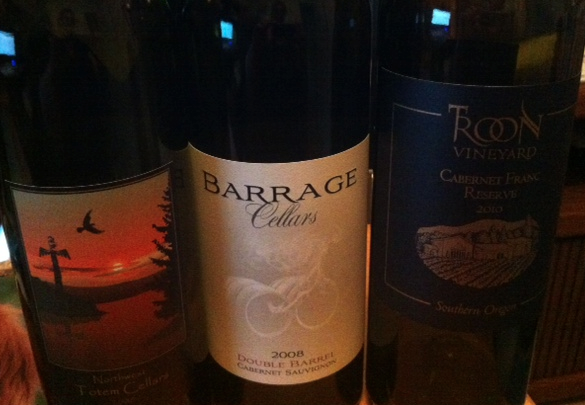 We recommend all three wines, if you like robust reds.